Galvanized Steel Containers bring back our old memories. 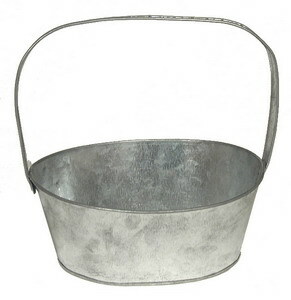 This handle basket measures 7" long, 5.25" wide, 8" tall to the top of the handle, 3.25" tall without measuring the handle. This item is also available in two more sizes. Please click on item C6006L to view the larger size, or item C6006S to view the smaller size.